Riding on a wave of critical success that began at this year's Sundance Film Festival and may even continue well into awards season, Ryan Coogler and Michael B. Jordan - the respective director and star of the acclaimed independent drama Fruitvale Station - have quickly built a great deal of clout. Now, it sounds like they're already putting it to good use. In a completely unexpected, but not unwelcome development, the pair have started talking with MGM about making a Rocky spin-off revolving around the grandson of Apollo Creed as he pursues a career in the ring. That's not all: apparently, talks between the studio, Coogler, and Jordan have touched on the possibility of Sylvester Stallone returning to reprise his role as the Italian Stallion himself and serve as the youth's mentor. Should production go forward, the film, currently called Creed, will follow the younger Creed as he strives to make a name for himself in boxing, relying on the instincts he inherited from his ancestry as well as his love for the sport - though his family doesn't want him to (likely due to the nature of Apollo's death). All of this has come entirely out of nowhere, and at a glance seeing Coogler's name tentatively attached to the project may strike some as odd. Fruitvale Station isn't a commercial film, telling the very real story of Oscar Grant's tragic demise at the hands of Bay Area Rapid Transit officers with as much clarity and honesty as possible; it exists in a realm of true-life cinema that's mostly divorced from the rags-to-riches American Dream story of Rocky. Still, the idea makes a lot of sense. Regardless of how removed Rocky - and its first two sequels - may feel from the events of Fruitvale Station, the latter has announced Coogler's emergence as a filmmaker with enormous talent and a passionate interest in the social issues of our time. Splintering off of the Rocky Balboa legend and shifting the emphasis to Creed's grandson could actually give Coogler a springboard for exploring the sort of race-driven matters that are so central to Fruitvale Station, and the idea of a mainstream picture based off of an existing, successful franchise closely examining that element is exciting. Jordan, on the other hand, has firmly established himself as one of the most gifted young performers working today; whether through his work on Friday Night Lights, The Wire, or last year's excellent Chronicle, he's already received a solid amount of mainstream exposure and developed his breezy brand of easygoing charisma. Even without Coogler, the actor could be a slam-dunk for the production, but the notion of the duo reuniting just makes Creed into an even stronger sell. 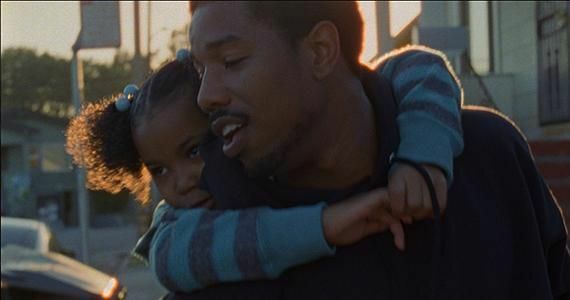 Together, they're an incredible team, but audiences will have to see Fruitvale Station to make that determination for themselves. While none of this is set in stone, everyone involved here has a lot to gain from making Creed happen. Rocky, after all, is an Academy Award-winning film, and it's not unlikely that Fruitvale Station will at least earn respectable attention from the AMPAS this fall, if not a few golden statues. It would be wonderful to see Coogler and Jordan move their careers forward with this picture and revisit the Rocky franchise in a new way, but we'll have to wait and see how this story progresses.